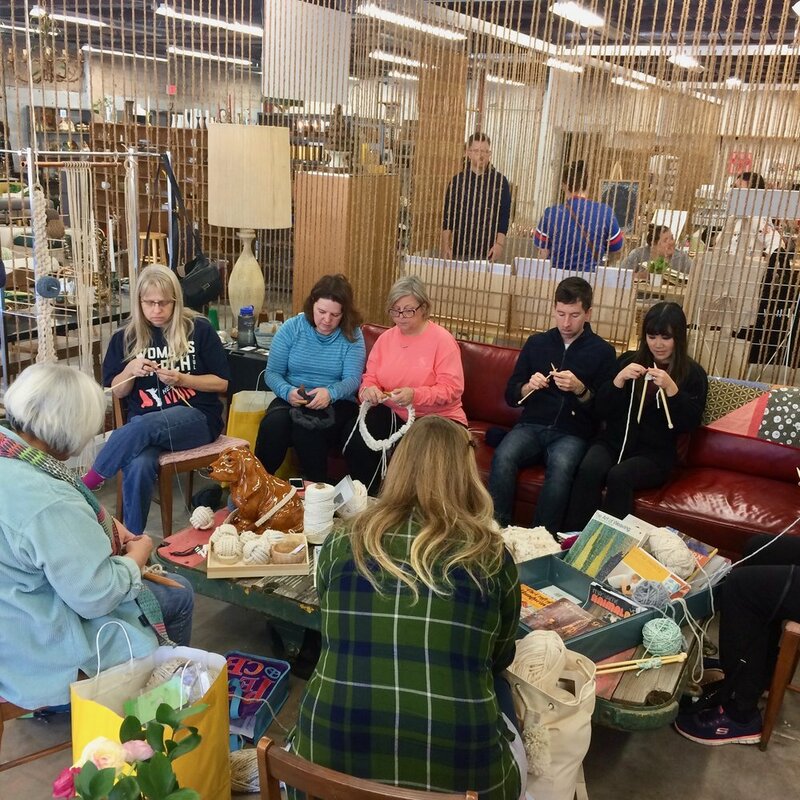 House Sparrow workshops in macrame, weaving, knitting, and plant dyes are available for reservation for birthday parties, bachelorette events, workplace mini-retreats, and other special occasions. Explore the workshops menu below for full details and start dreaming up your day! A deposit on your workshop saves your date and your workshop location. Questions can be sent to n@housesparrownesting.com or the Contact page. 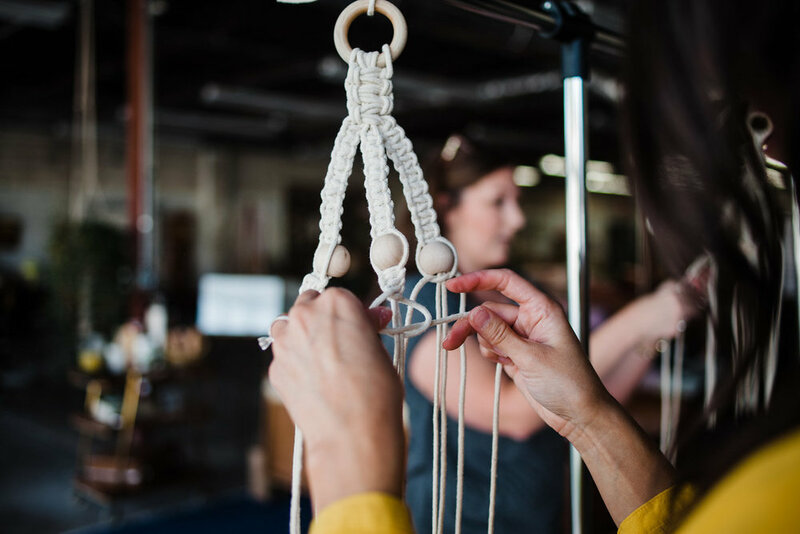 Your macramé journey starts here. In the amount of time it takes you to Netflix through an episode and a half of Game of Thrones, you can learn to make a hanging home for your favorite plants. 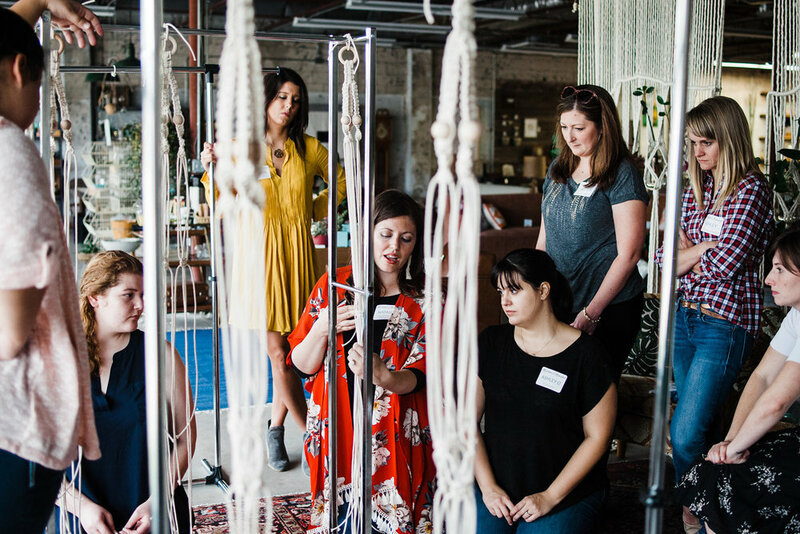 In this 90-minute macramé workshop, I will provide everything you need—100-percent cotton cord, natural wood beads, an instruction booklet I wrote and photographed just for you, and even enough snacks to fuel you and your creativity—to create a handmade macramé hanging planter, the most handy-dandy of the macramé sculptures. 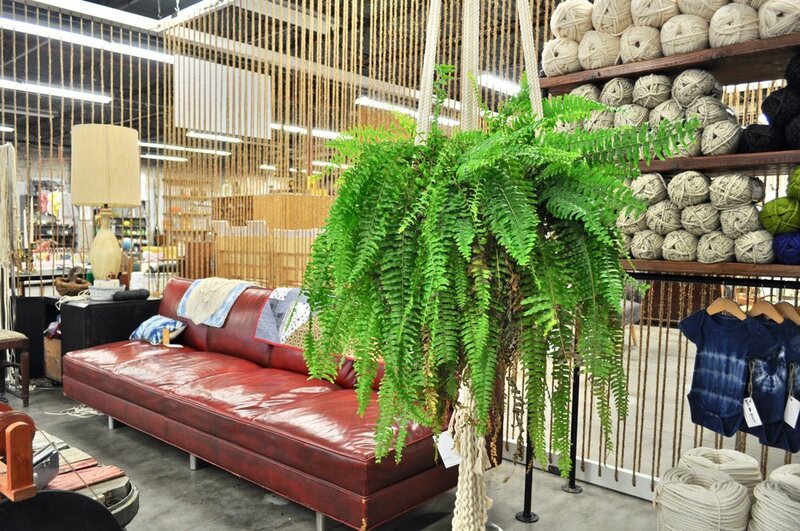 We will cover basic macramé terms and techniques, including how to customize your hanger for any plant or planter, how to decorate your hanger with knots and fringe, and the best way to hang your final piece. 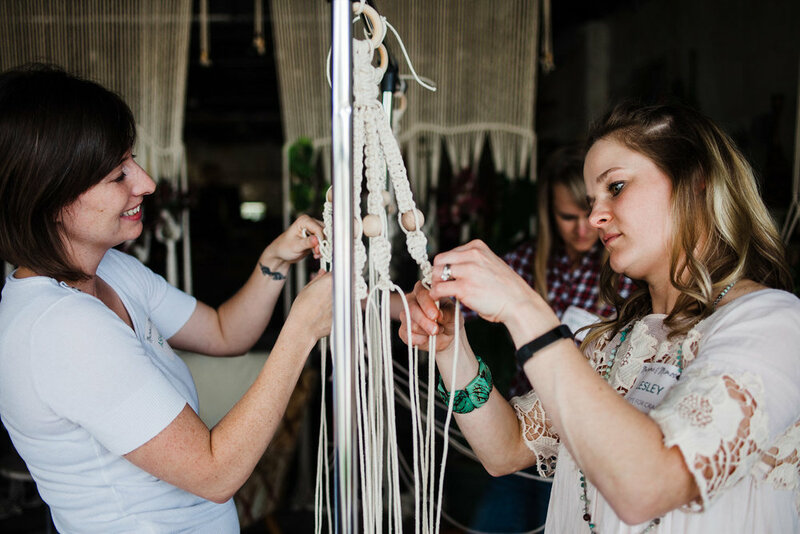 You and your new macra-pals will leave class with everything you need to know to create at least 88 more macramé hanging planters, if not more. But certainly not less. Because you're about to catch the macramé bug, my friends. Because of this, I will have additional hanging-planter kits, which include cord, beads, hanger, and an instruction booklet, available for purchase during class, plus extras of all the raw materials we use in class. Pro tip: Wear comfortable shoes! 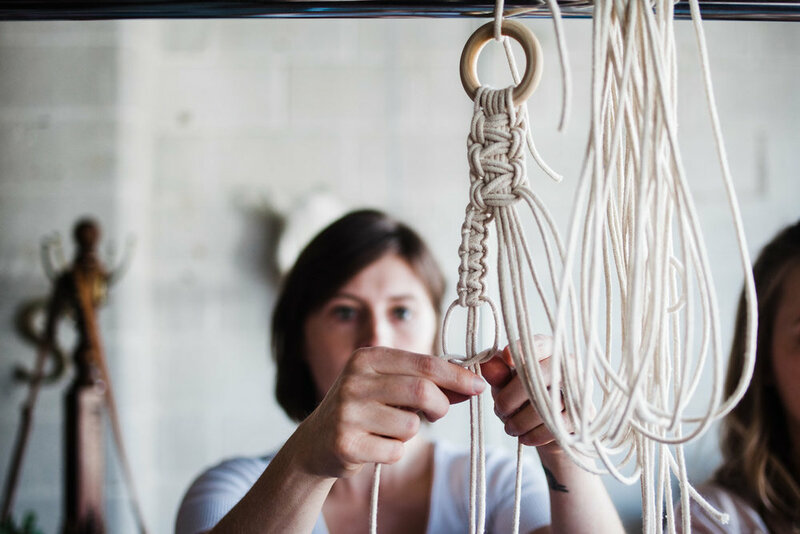 Note that many macramé students find these projects easier when we stand to work, so that's our default MO. If you would prefer to be seated during class, just let me know when you sign up and I will be happy to accommodate you. 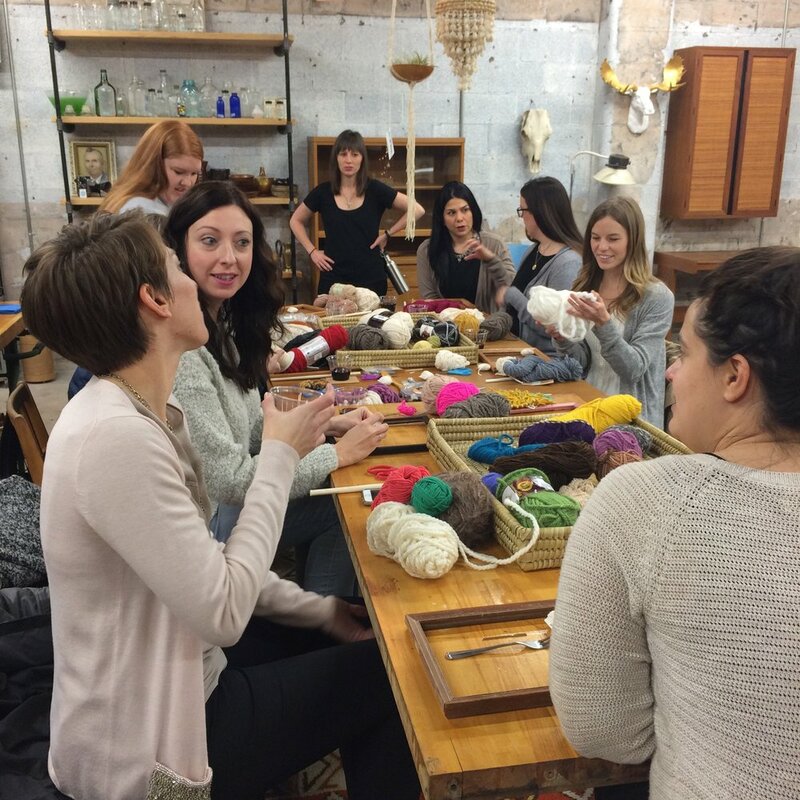 In this three-hour party-slash-workshop, we cover the basics of woven tapestry and create the cutest batch of mini woven wall hangings (12 inches wide, however many inches you like long) that you ever did see. We will spend our time working through basic weaving terms and techniques, including how to prepare your final piece for hanging. Plus, we will sip. And we will snack. We will talk and laugh and talk some more. Basically, we're about to be best friends. Each student leaves the workshop with one completed hand-woven wall hanging, including a hanging kit and instruction booklet, which is helpful once you arrive home and discover that you can't do dishes or laundry or anything else ever, until you make 37 more weavings. I will have additional weaver packs of yarn available for purchase during class; each will feature hand-spun, hand-dyed yarns by me, as well as local yarns and fibers. 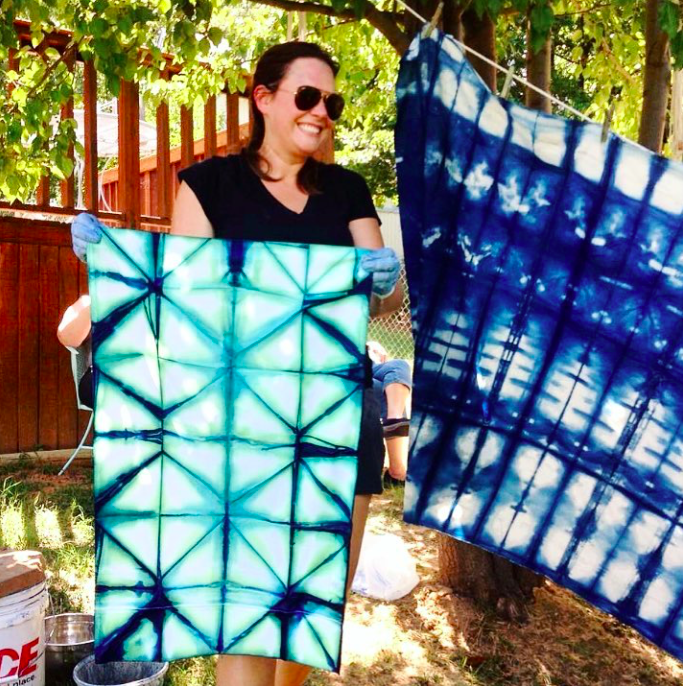 In this workshop, we throw anything not nailed down in my studio into a swirling vat of natural indigo. What results is a breathtaking showcase in navy and cream. Several of my students have said they feel the same butterflies as they do on Christmas morning as they unfurled their fabrics and textile pieces after a few dunks in the indigo. Each piece the students create in this workshop is as one-of-a-kind as a fingerprint. This workshop is a beautiful, unforgettable time. In this workshop we work with basic block printing techniques and tools to create a table runner and a set of two napkins. You can make them matchy-matchy or complementary, and you can make them black and white or any color we can mix. We will use a variety of inks and printing blocks, some carved by yours truly, in combination with common, everyday objects. If you have an object you think would make a beautiful fabric pattern, and you're OK with inking it (read: the type of ink we use doesn't wash off all surfaces), bring it! The ink we will use is dry to the touch overnight, so please plan to pick up your projects the following business day after class. This ink will remain permanent through the wash after curing for 7 days. In Open Studio Workshops at House Sparrow Fine Nesting in Tulsa, either at the workshop space at 1216 S. Harvard or at my home studio space in west Tulsa, students are free to create a textile class all their own. I spend time with each guest, teaching a new skill or building to the next level. Students are welcome to bring or come to learn any textile project I teach. 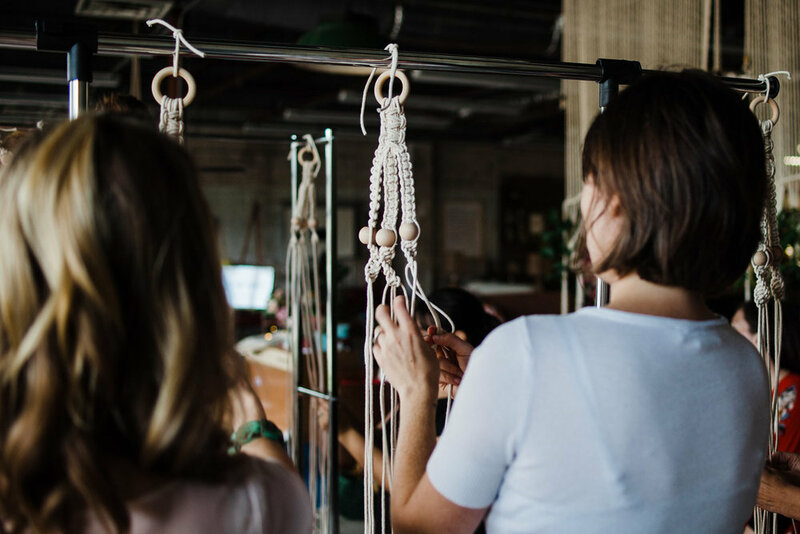 Open Studio Workshops are perfect for anyone who would like to venture into the world of super-sized projects: giant macramé, for example. What results is a few hours spent learning, snacking, and creating something beautiful.